The Bread Loaf Writers’ Conferences offer Middlebury students fully funded scholarships to attend the Bread Loaf Writers’ Conference, Bread Loaf Environmental Writers’ Conference, or Bread Loaf Translators’ Conference. These scholarships are available to current undergraduates, including those in their senior year. In 2019, we are pleased to note that recent alums (graduation years 2017, 2018, and February 2019) are also invited to apply for the Middlebury Student Scholarship for the Bread Loaf Environmental Writers' Conference and for the Bread Loaf Writers' Conference. The scholarships are awarded based on the quality of work submitted. 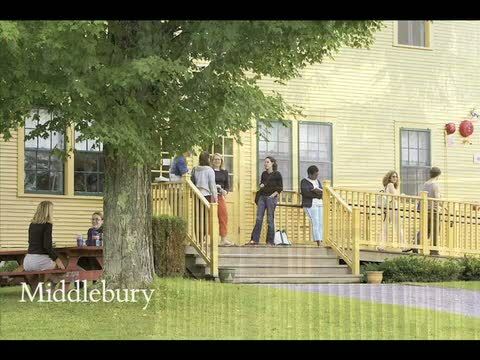 Middlebury College Student Scholarships cover tuition, room, and board at the conference. Thanks to a generous contribution from the Middlebury College Environmental Studies Program and the Franklin Environmental Center, the Middlebury Student Scholarships for the Bread Loaf Environmental Writers' Conference will also include a $500 travel stipend. The Bread Loaf Writers’ Conference, founded in 1926 and boasting a rich literary and intellectual tradition, gathers together emerging writers to work closely with a diverse and talented faculty. For 10 days in August, conference attendees experience the intensity—and challenge—of working under the guidance of notable writers, including MacArthur Fellows, U.S. poets laureate, and recipients of the Pulitzer Prize and National Book Award. Workshops in fiction, poetry, and nonfiction are at the core of the conference. Each faculty member conducts a workshop that meets for five two-hour sessions over the course of the 10 days. Groups are kept small to facilitate discussion, and all participants meet individually with their faculty leaders to elaborate on workshop comments. Faculty members also offer lectures on issues around literary writing, and one-hour classes on specific aspects of the craft. Readings by the faculty, conference participants, and guests take place throughout the day and into the night. Participants meet with visiting editors, literary agents, and publishers who provide information and answer questions, individually or in small groups. Wednesday, August 14–Saturday, August 24. The conference takes place at the Bread Loaf campus of Middlebury College in Ripton, Vermont. The fifth annual Bread Loaf Environmental Writers’ Conference is a weeklong session, based on the Bread Loaf Writers’ Conference model, that’s designed to hone the skills of people interested in producing literary writing about the environment and the natural world. The conference is cosponsored by the Bread Loaf Writers’ Conference, and Middlebury College’s Program in Environmental Studies. Friday, May 31–Thursday, June 6. The conference takes place at the Bread Loaf campus of Middlebury College in Ripton, Vermont. The fourth annual Bread Loaf Translators’ Conference is a weeklong event, based on the Bread Loaf Writers’ Conference model, that is designed to provide training and community to beginning as well as experienced translators in the pursuit of translating literary texts into English—or to those aiming to be more sophisticated readers of literary translation and to incorporate it into the classroom. An introductory workshop is available for those with limited or perhaps no foreign language background who would like to learn more about the translation process, and a manuscript workshop is available for someone with a background in a foreign language who would be able to submit a translation sample with the application (Middlebury students who do not yet have a translation manuscript to submit are encouraged to develop one with the application in mind; should you have any questions about this, please send a note to blt@middlebury.edu for more information). Along with filling out the online application, scholarship applicants submit a writing sample in the genre in which they are applying (the writing sample can be work that is published or unpublished). See the Manuscript Guidelines for important details.